(August 15, 2012) The UN’s carbon trading scheme to reduce global concentrations of greenhouse gases has provided a handful of factories in developing nations with a perverse incentive to massively increase them. A New York Times article continues an ongoing story we have written about for some time now. This latest update—on how the UN’s carbon trading scheme to reduce global concentrations of greenhouse gases has provided a handful of factories, primarily in India and China, with perverse incentives to massively increase them—again highlights the way in which the UN’s subsidies intended to improve the environment instead created their own damage. The Natural Resources Defense Council’s OnEarth blamed “markets” for the perverse results described in the New York Times article. “When you create a market-based solution for dealing with greenhouse-gas emissions, don’t be shocked when you end up creating an actual market—and all of that ‘rational’ economic marketplace behavior that goes along with it,” they said. But greenhouse gas markets are not real markets, nor do the commodities traded have inherent value to the buyers and sellers. Rather, they are faux markets in which participants merely respond to the supply, demand and terms of trade established by government decree. Guarantee a revenue stream for any commodity (or for destroying it in the case of HFC-23) and be sure that irrational quantities will be produced. NRDC should not blame “markets,” but politicians for establishing phony markets devoid of “rational” economic behaviour. 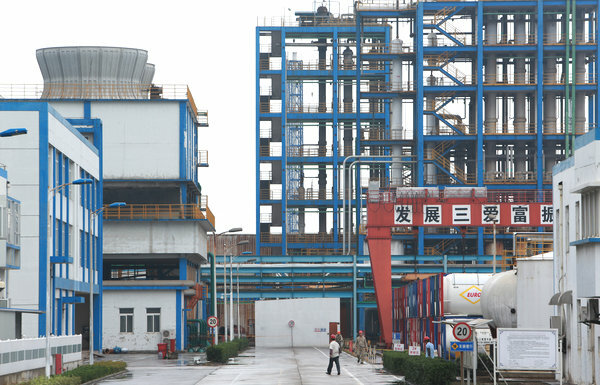 A view of a coolant-producing factory in Jiangsu Province, China. Some manufacturers of gases used in air-conditioning and refrigeration have earned millions by accumulating emissions credits from the destruction of an obscure waste gas normally released as a byproduct. The credits are then resold on international markets. Credit: Qilai Shen for The New York Times. Too often, unfortunately, greed seems to triumph. Has ethics become obsolete? Am I being unrealistic and naive?